Cookie shot madness. 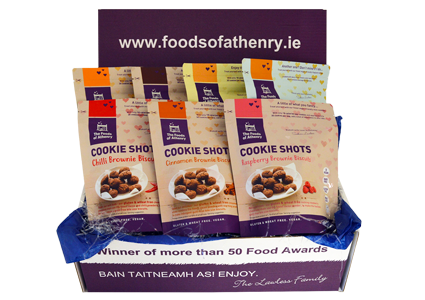 You can order all the varieties of Cookie Shot Brownie biscuits in one gift box plus the Gently Ginger flapjack bites. Each comes in a resealable pouch for freshness and snacking freedom. Only 4g and 18 calories per Cookie Shot.